We’ve already seen the basic outline of the new Honda Civic hatchback but the overall car has been kept tightly under wraps before its Paris Motor Show debut. The Japanese manufacturer invited Parkers to get a sneaky first look at its Swindon factory, plus a quick passenger ride on its test track. 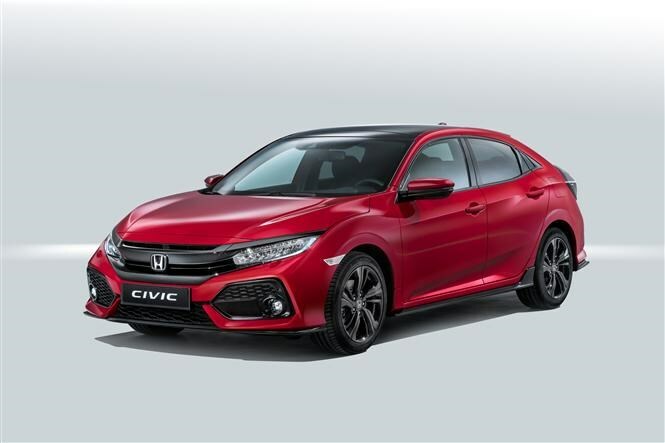 Honda admitted this new Civic needs to make a significant step forward to catch up cars like the Ford Focus, Vauxhall Astra and BMW 1 Series. 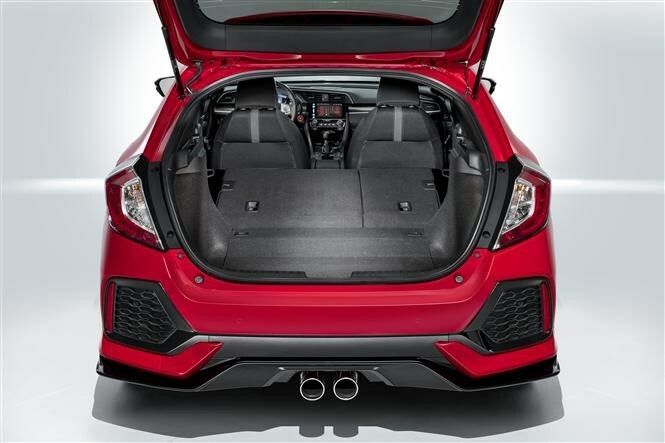 It aims to do this by reigniting its appeal with younger buyers, with a lighter and more rigid car that Honda promises with both ride and handle better than before. 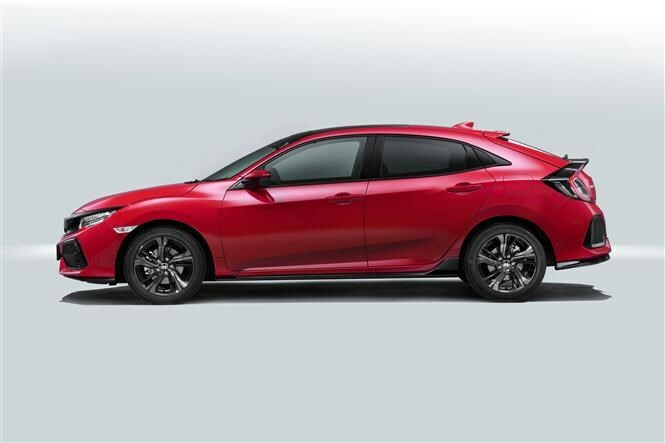 The tenth-generation Civic has actually been subjected to the largest single-model development programme in Honda’s history and is a completely new car from the ground up. You get more interior space due to a 130mm longer wheelbase and 30mm more interior width. The seating position is 35mm lower, and the roofline is 20mm lower to the ground. It feels quite roomy inside, with good head and leg room in the back, but small rear door pockets. The boot is still massive, packing in 478 litres of space, and features a wider opening and cool sideways-rolling parcel shelf. This can stay in place when you fold the seats flat, unlike normal tonneau covers that require removal. This younger image has come at the cost of some of the old’s car practicalities though – new multilink rear suspension means you don’t get multi-folding Magic Seats, the racy-looking Sport trim runs a central exhaust through the extended under-floor boot storage. From launch in the UK we’ll get two petrol VTEC Turbo units, a 1.0-litre with 128bhp and a 1.5-litre with 181bhp. Sport trim comes only with the latter. Our passenger ride in the three-cylinder equipped 1.0-litre car revealed impressive refinement, and much less of the thrummy note present with other motors of this type. Both units are available with a six-speed manual or CVT automatic gearboxes, the auto featuring seven simulated gears. A 1.6-litre diesel with 119bhp comes with the manual or nine-speed automatic, and will arrive later in 2017, but there’s no word yet on whether you can spec it with in Sport trim. Things look better on the inside, with smart TFT colour screens replacing the dials and a new touchscreen multimedia system. The former replaces the tachometer and speedometer, plus shows information from the sat-nav, SMS and email, audio information and trip computer. Honda’s second-generation multimedia system has been fitted, which comes with Apple CarPlay and Android Auto. Finally the Honda Sensing package is now standard and features things like lane departure warning, city brake system and traffic sign recognition. 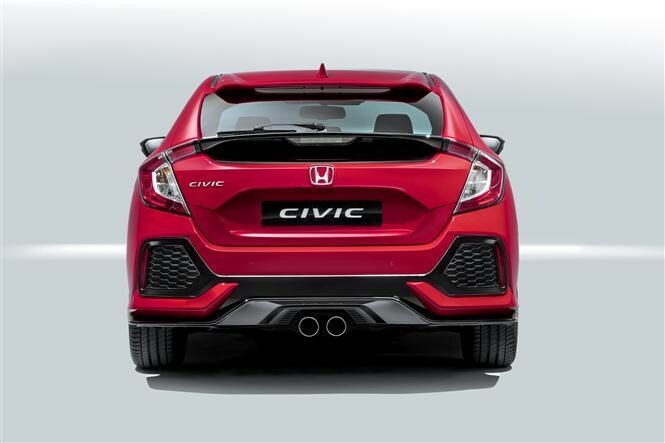 We’ll get another look at the new Honda Civic at the 2016 Paris Motor Show. Petrol cars go on sale in March 2017, followed by the diesel in late 2017.